Paperless input & output for your classroom! Classroom is available to anyone with Google Apps for Education, a free suite of productivity tools including Gmail, Drive and Docs. Classroom is designed to help teachers create and collect assignments paperlessly, including time-saving features like the ability to automatically make a copy of a Google Document for each student. It also creates Drive folders for each assignment and for each student to help keep everyone organized. Students can keep track of what's due on the Assignments page and begin working with just a click. Teachers can quickly see who has or hasn't completed the work, and provide direct, real-time feedback and grades right in Classroom. Teachers can add students directly or share a code with their class to join. It takes just minutes to set up. The simple, paperless assignment workflow allows teachers to create, review, and grade assignments quickly, all in one place. 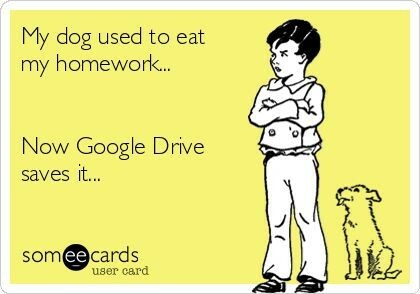 Students can see all of their assignments on an assigments page, and all class materials are automatically filed into folders in Google Drive. Classroom allows teachers to send announcements and start class discussions instantly. Since students can post to the stream, they can help out their classmates. Like the rest of our Google Apps for Education services, Classroom contains no ads, never uses your content or student data for advertising purposes, and is free for schools.